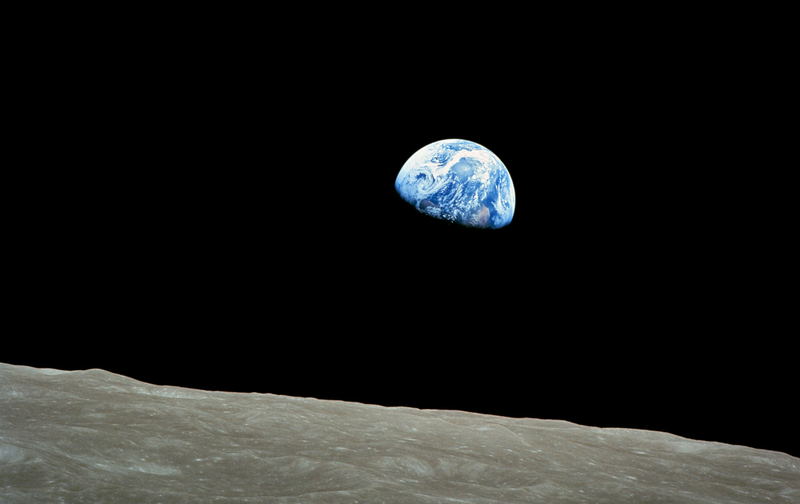 It took until 1970—after the Apollo program had given us photographs of our small blue planet floating in space and ferried Astronauts to the Moon and back—for humankind to establish an annual day of celebration of our life-sustaining home. We now know how small and local our one blue planet is, and we have learned, through science and through global dialogue how connected we all are, regardless of our political or cultural differences. In so many ways, this Earth Day is a moment for reflecting on the degree to which we will sink or swim, fail or thrive, together. In the political economy that has dominated human culture for most of our history, it is assumed that all natural resource interactions are a zero-sum game: If you have it, then I cannot. With fears about climate destabilization leading to resource wars, it is also important to note we have always fought wars over resources: land, political leverage, the built environment, wealth, water, shipping routes. The difference between refusal to work together and effective collaboration is not about who comes out ahead in a zero-sum game. Refusal to work together relegates us to a debased competition for resources depleted through unnecessary and overlapping excess, while effective collaboration means we can be smarter, optimize our interactions with natural life-support systems, and leave behind the debased zero-sum illusion that undermines civilization. This year, the nations of the world are engaged in a collaborative process with unprecedented promise: negotiations on Finance for Development (FfD), the Sustainable Development Goals (SDGs), and the global climate response (COP21), are actually providing us with the choice to get beyond narrow and short-lived forms of progress and prosperity and forge a future in which our progress and prosperity are more expansive and more resilient over the long-term. Today, we have an opportunity to look at each other in the way we look at this life-giving planet Carl Sagan called the “pale blue dot”: as integral to one another’s good fortune, as necessary and beneficial to our shared goal of a liberated, intelligent, thriving, beyond mere survival. The question is: do we want to fail, pathologically, or do we want to be successful as a species? If we work to free ourselves from narrow thinking and the degradation of natural life-support systems, we can weave together a future of true sustainable prosperity. That is what it means, at this time in history, to be an inhabitant of planet Earth; that is the opportunity inherent in becoming global citizens.